Origami is the Japanese art of paper folding. It's incredible what can be done with a single square of paper! 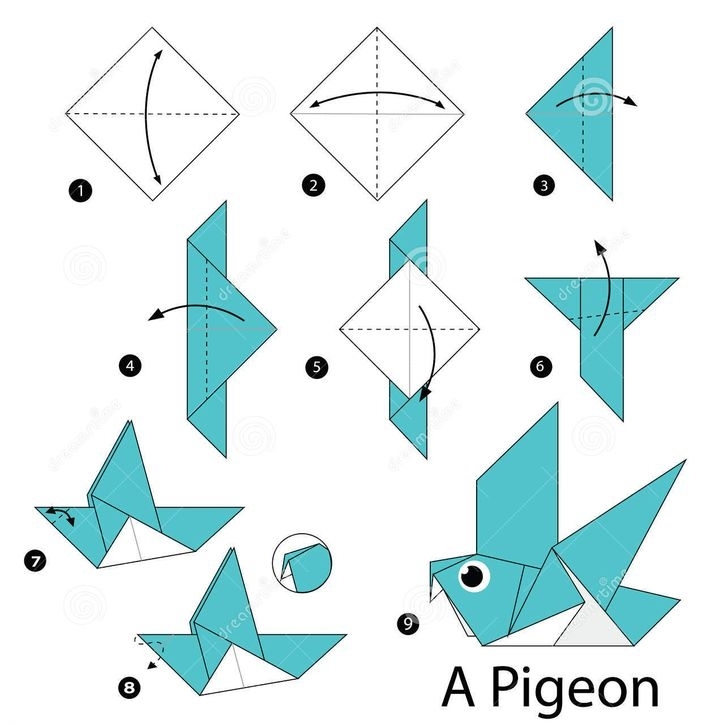 Learn about the history of origami and then have fun creating your own paper sculptures. The trick with origami is clean folds at just the right angle. Perfecting this art can indeed take some practice, so don't get frustrated if your first few attempts don't come out quite as you were hoping. Practice makes perfect, and that saying couldn't be more true with this art form. Successfully following the directions of an origami sculpture is an impressive accomplishment in itself. If you want to try to create your own origami sculpture design, that is awesome! Typically, students who can produce a sculpture someone else has designed are doing well. Origami is much harder than it looks. Origami artworks are usually completely symmetrical and free standing. 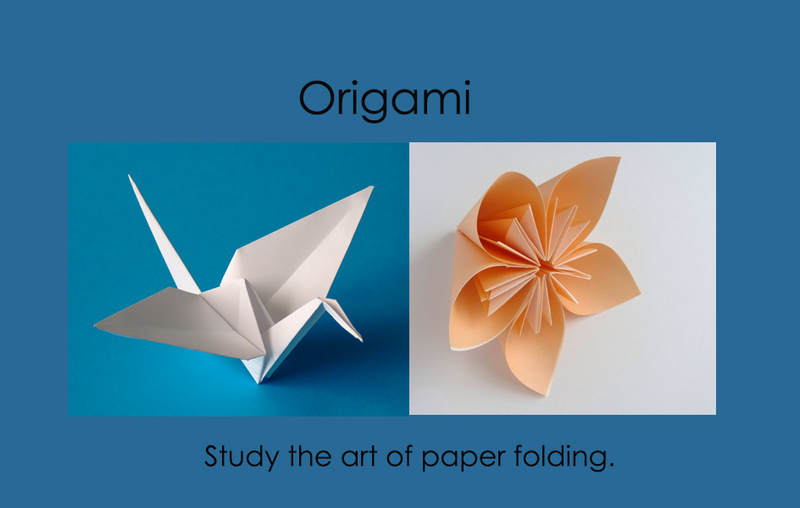 Once you have mastered a basic origami sculpture you can try a more advanced design. Due to the challenging nature of origami, take breaks if you find yourself feeling frustrated. Return to your sculpture when you feel relaxed and ready. Some more complicated sculptures require multiple breaks.